This episode introduces one of the most fascinating and polysemic figures of antiquity – Orpheus. 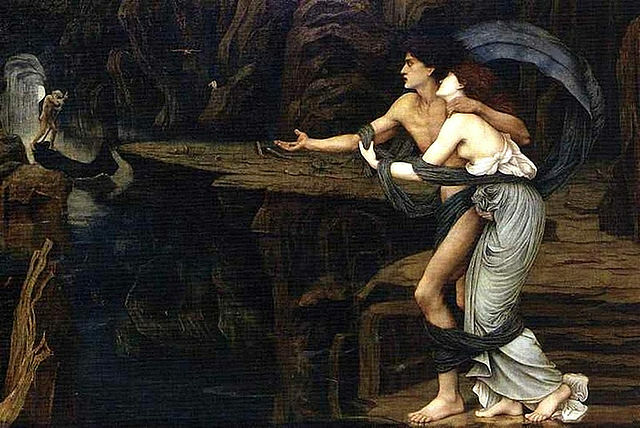 We discuss some of the amazing myth-cycle surrounding Orpheus, concentrating on the story of the katabasis, return, and eventual (rather gruesome) death. We then have a quick look at other ancient texts, this time the poems and hymns attributed to Orpheus as their author, which circulated in antiquity. This episode introduces and gives some basic background for a classical Greek figure who surfaces again and again the history of western esotericism. Aristophanes Birds (693-702) seems to be a parody of an Orphic creation-story. Herodotus II, 81 on the Egyptians, Pythagoreans, and ‘so-called Orphics’. Pherecydes’ figure of Chronos DK 7 A 8, B 1. Cocteau, Jean. Check out his ‘Orphic Trilogy’ of films. Linforth, I., 1973. The Arts of Orpheus. Arno Press, New York, NY. Nick Cave and the Bad Seeds. Abbatoir Blues/The Lyre of Orpheus, 2004. Parry, M. Adam Parry, (Ed. ), 1987. The Making of Homeric Verse: The Collected Papers of Milman Parry. Oxford University Press, New York, NY/Oxford. West, M. (1994). ‘Ab ovo: Orpheus, Sanchuniathon, and the Origins of the Ionian World Model’, Classical Quarterly 44 : 289-308. The primary texts relevant to ancient Orphika were first edited by Kern (Kern, O. (Ed. ), 1963. Orphica Fragmenta. Weidmann, Berlin), but the new edition of Bernabé (Bernabé, A. (Ed. ), 2004. Orphicorum et Orphicis similium testimonia et fragmenta. Poetae Epici Graeci. Pars II. Fasc. 1. K.G. Saur, München/Leipzig. ), contains much newly-discovered material, and may be considered the new standard edition. Bernabé, A. and San Cristobál, A. J., 2008. Instructions for the Netherworld: The Orphic Gold Tablets. Brill, Leiden/Boston. Edmonds, R. G. I., 2013. Redefining Ancient Orphism: A Study in Greek Religion. Cambridge University Press, Cambridge. Walker, D.P. (1953). ‘Orpheus the Theologian and Renaissance Platonists’, Journal of the Warburg and Courtauld Institutes 16 : 100-20.